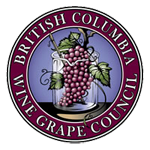 Put your company in the spotlight at the BC Wine Grape Council Enology & Viticulture Conference and Tradeshow. The premier wine industry event of British Columbia bringing hundreds of wine and grape industry professionals together. The Enology & Viticulture Conference & Tradeshow is a premier wine industry event which brings hundreds of wine and grape industry professionals together to discover new products and services, to learn about the latest technologies and research, as well as to network. The tradeshow provides a unique opportunity for you to meet with them. Take advantage of this exclusive tradeshow to make the right contacts with a highly targeted group. REGISTRATION FOR NEW EXHIBITORS IS NOW OPEN. PLEASE CLICK THE "REGISTER NOW" BUTTON BELOW TO ACCESS THE ONLINE FORM.